Very nice work! This is very exciting. Oh and we are now at position #56! Number 4! That's damn impressive. 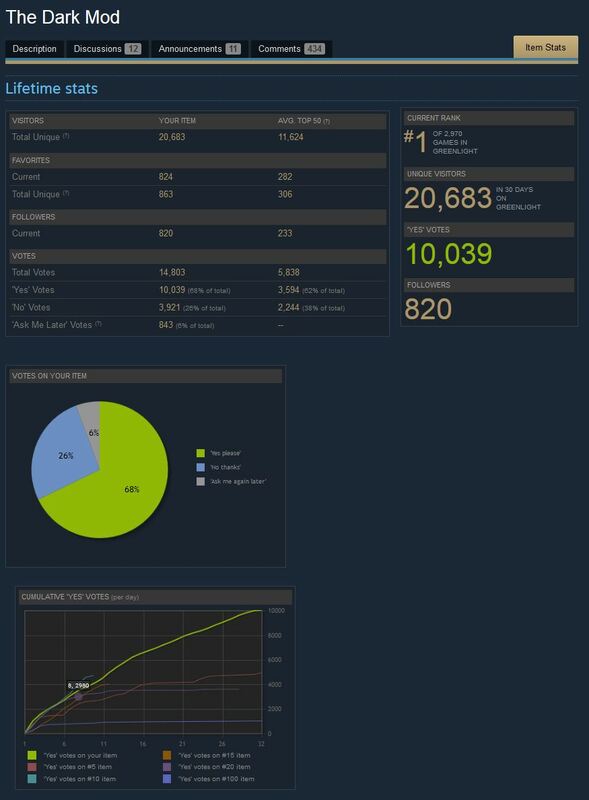 We're now at #3 on Greenlight.! Well folks we are now Number 2! This is truly impressive and I sincerely hope it means a curator will gets his or her skates on and Greenlights this game, made for the fans by the fans. 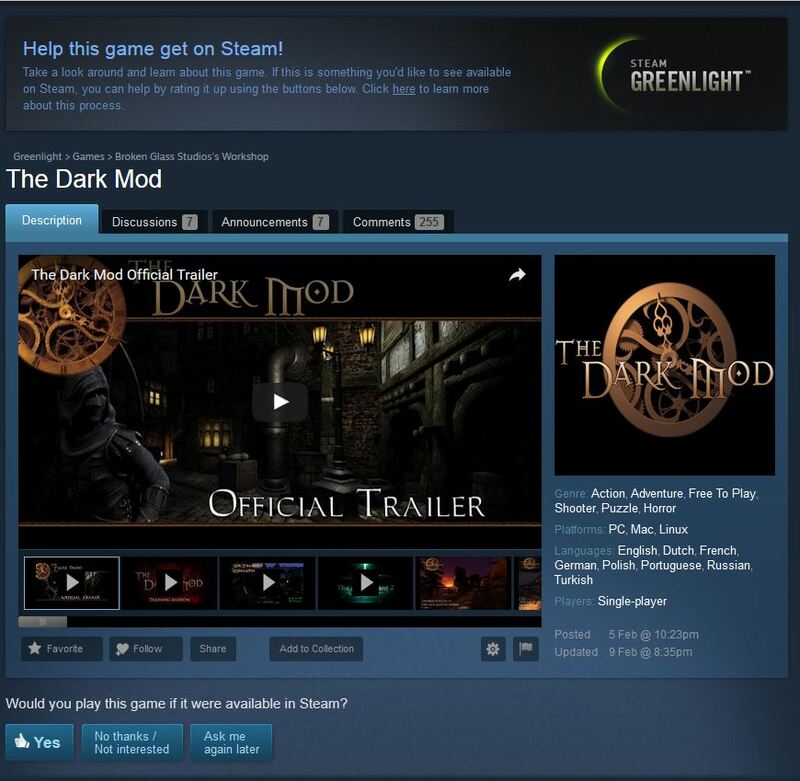 And if we do get in, we maybe one of the last games to get in on the old Greenlight system. That's fantastic! 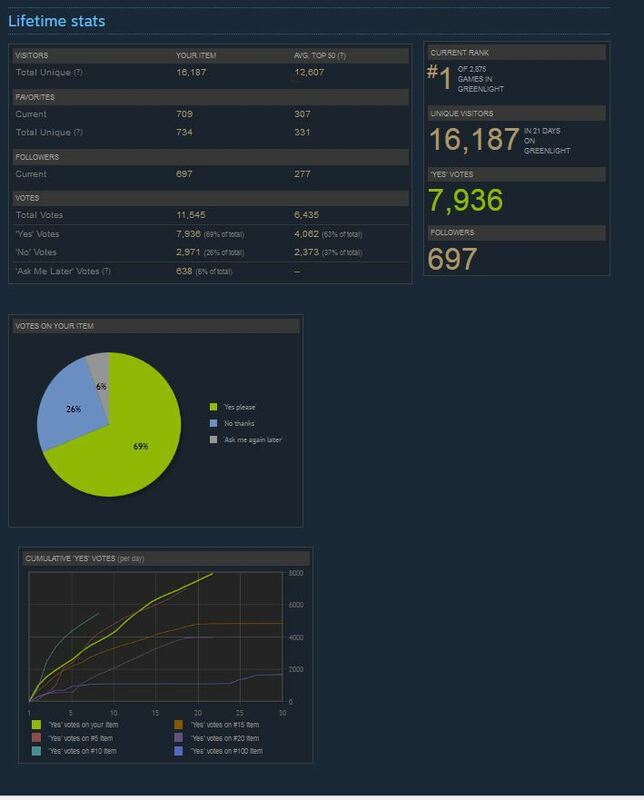 Hopefully approved soon before greenlight goes away. 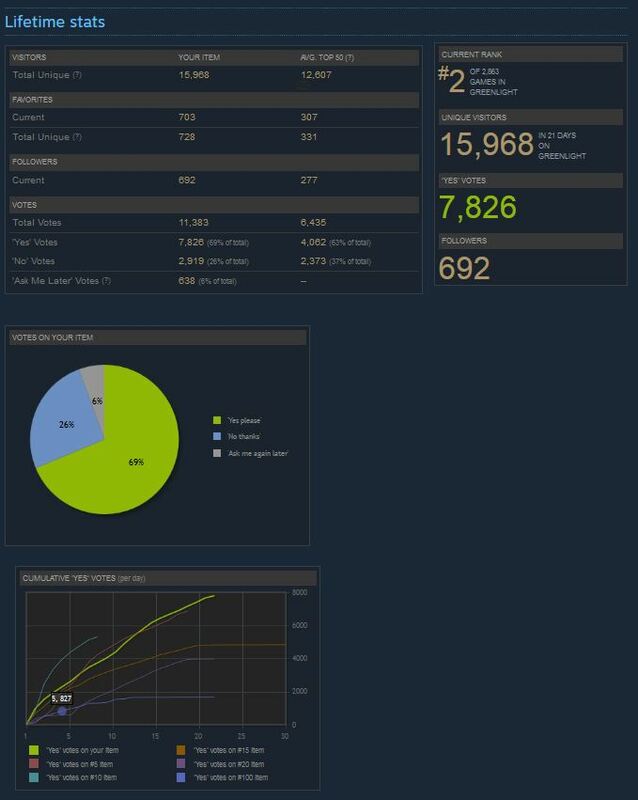 How long does a Greenlight campaign last? One month? 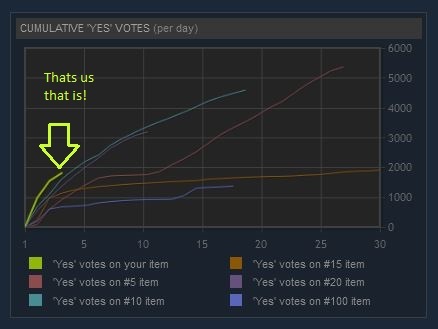 The amount of time seems to vary, no one thing explains why or how a game gets into SGL. We are number one!!! Time to pop the corks! Yup, just checked. Can't upload images to this post, don't have permissions. Well onwards and upwards, we are still #1 but we have now just smashed through the '10k likes' barrier.